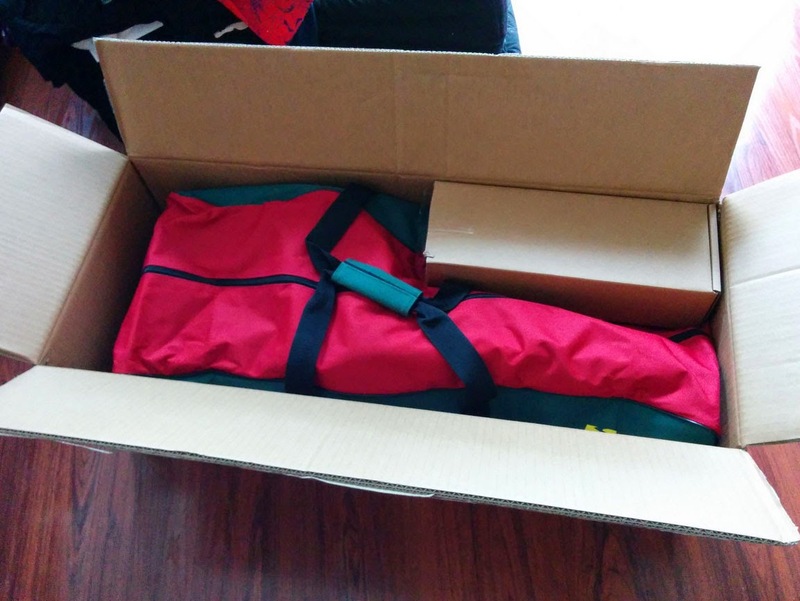 This is from Susan, a new TravelScoot user. Do any of you have experience with Norwegian? I am new as a user of the TravelScoot. I had read all the website information about air travel but it didn't have any information about cruises. 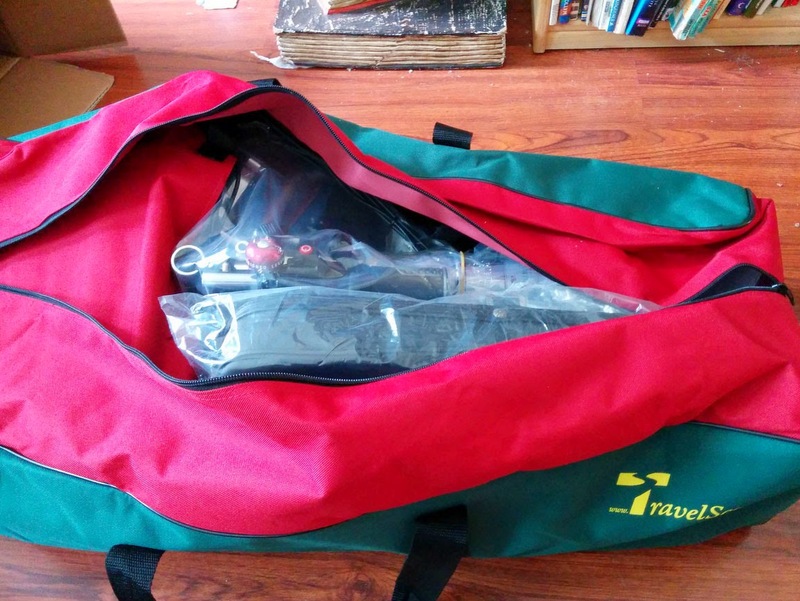 I had assumed it would not be a problem to take the TravelScoot on a cruise. 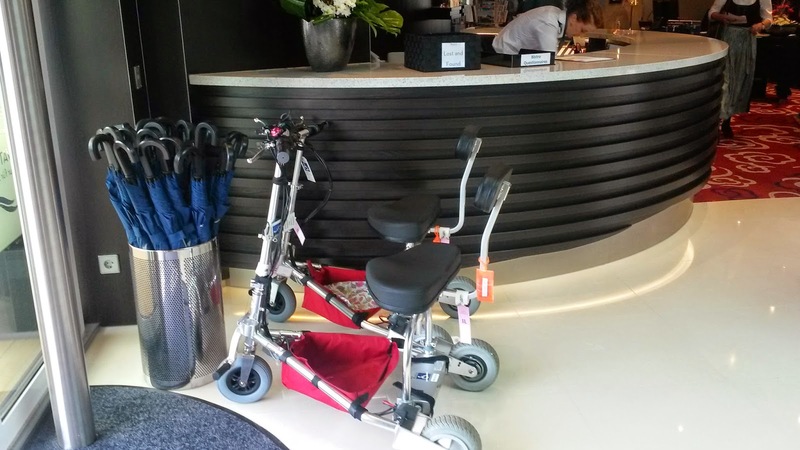 However while planning to book a cruise on Norwegian I noticed in the accessible section that it said those bringing scooters on board must have gel batteries. Do you or anyone else you know with the TravelScoot have any experience bringing the lithium ion batteries onto a Norwegian cruise?I certainly do not want to travel to Hawaii by air only to discover I cannot bring my TravelScoot on the ship! Plus the gel batteries are heavier and don't last as long making them seem less useful on a cruise. I would appreciate any information you can provide because this is a last-minute plan and the cruise is in February! Thank you so much for anything you can do to help. 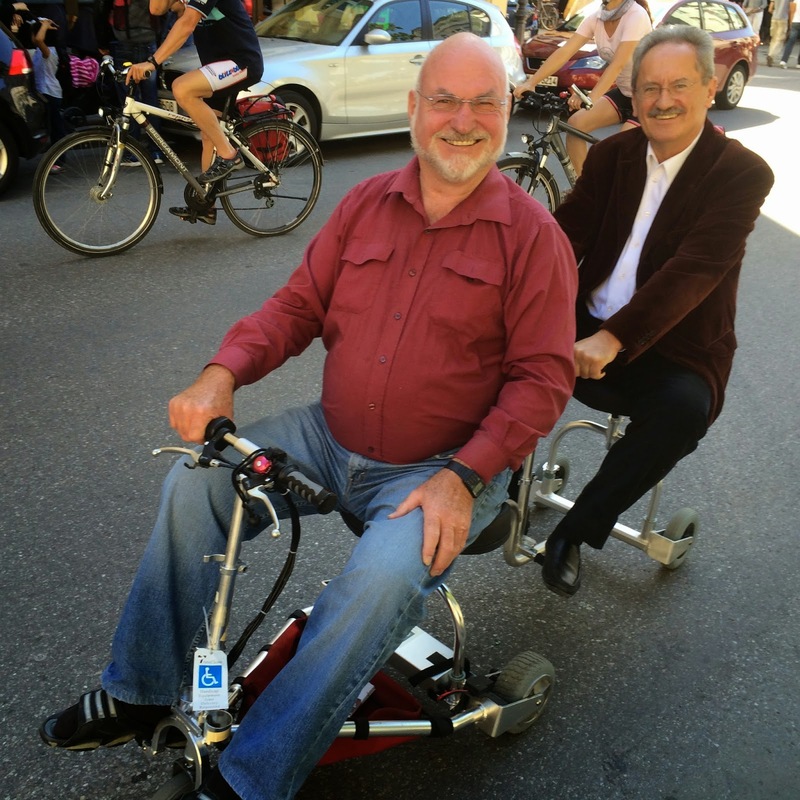 This trailer picture was taken with former Munich Mayor (for the last 20 years). 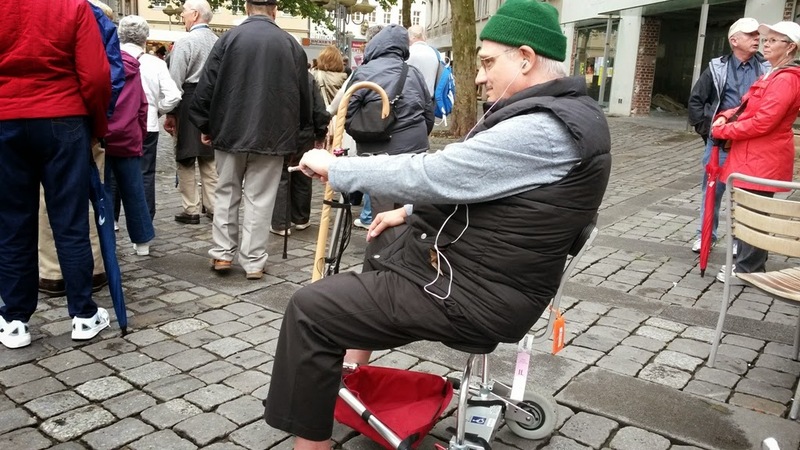 He is very popular in southern Germany and approached me last Sunday when he spotted me riding along with a walking impaired friend. 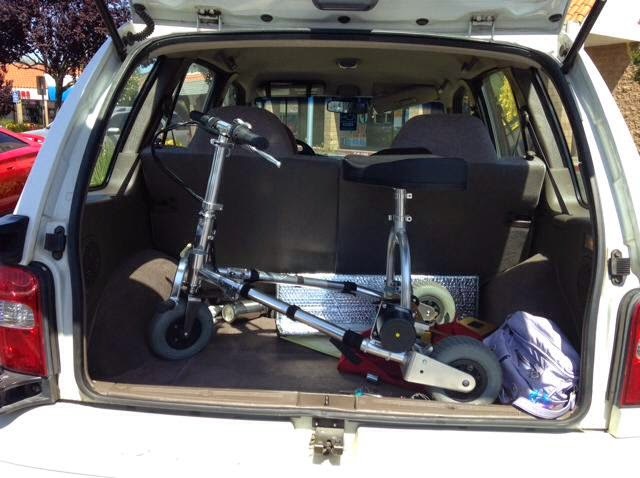 He is interested to get scooter and trailer for his walking impaired wife, who otherwise he would need to push her in a wheelchair. He recognized immediately that this would be much more fun for both of them whenever she needs to be moved over a distance. 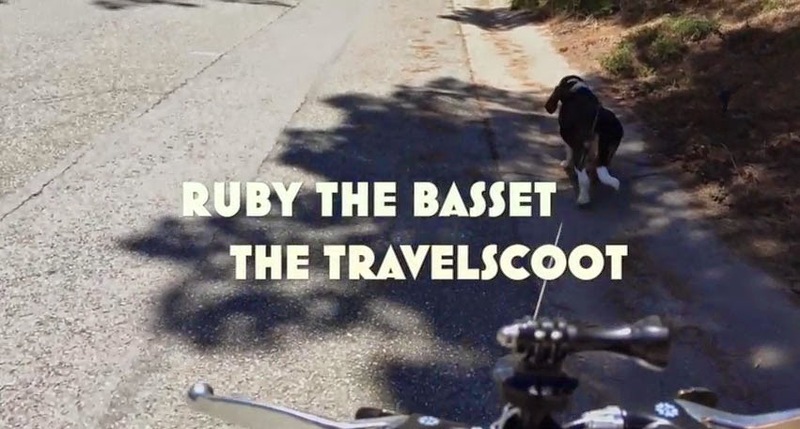 This wonderful video shows Harry using his TravelScoot for walking Ruby, his Basset Hound. He says she's the world's slowest dog (unless she sees another dog) and they're learning to walk and scoot together. Ruby's NOT pulling the TravelScoot - she's on a retractable leash that affords her freedom. 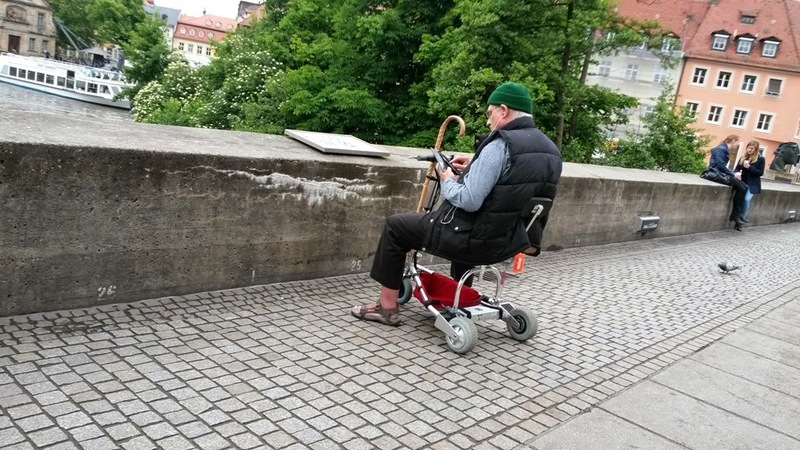 Sorrell wrote recently asking if any of you had figured out a way to attach a walker to a TravelScoot. 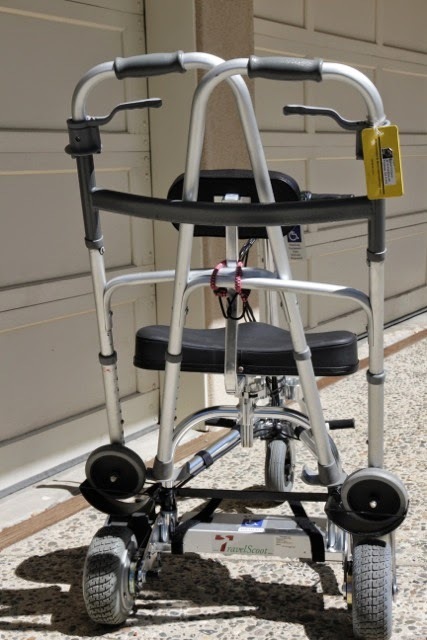 His wife who has had a stroke has problems with balance, but is able and needs to use a walker for short distances. 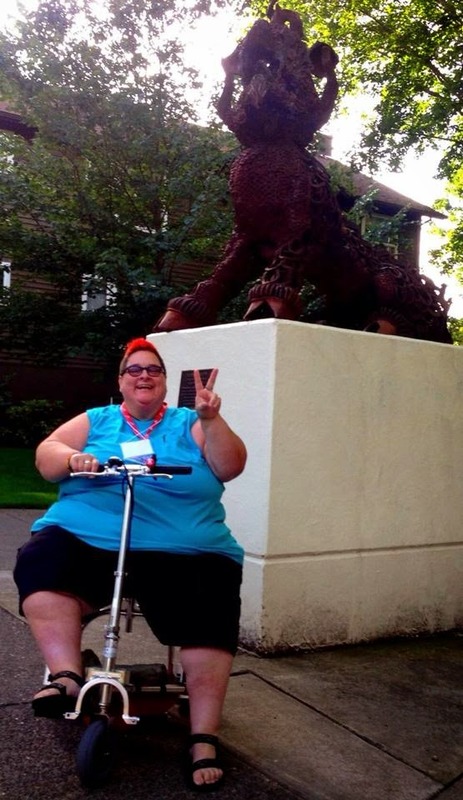 She uses the scoot for longer distances, such as at a museum or at the zoo, etc. But they like to take the walker along so she can access bathrooms more readily, or walk for shorter distances wherever they might be. They are interested in any ideas anyone else may have tried, or anyone else's experiences with this problem. Sorrell sent in the pictures below of what they've devised. He says that although this system works, it's rough and somewhat clumsy and heavy and can probably be improved upon with a lighter metal, improved design, or a totally different solution. They are looking for suggestions, perhaps from someone who has dealt with this before. Photo #1 shows how they had a metal worker create these two gutter-like cup structures (cut from pipe) welded respectively to two short metal stems, welded in turn to short metal pipe segments that fit as sleeves over the yoke arms of the TravelScoot. 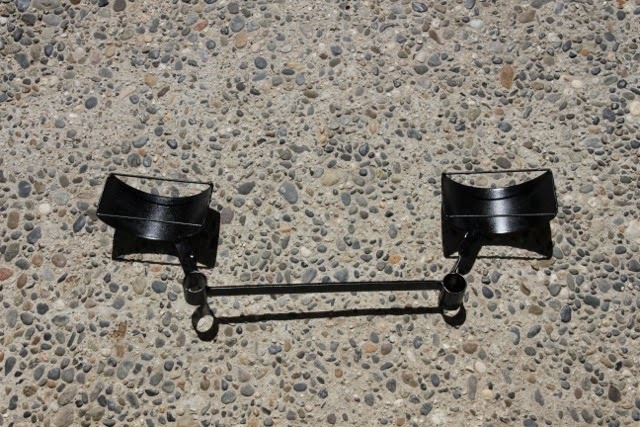 These in turn are welded to a metal rod which stabilizes the position of the gutter cups. The welding is critical as the position of the sleeves differs on the right and left arms of the yoke because of the holding clamp on the right arm. Photo #2 show the placement of this contraption on the yoke. 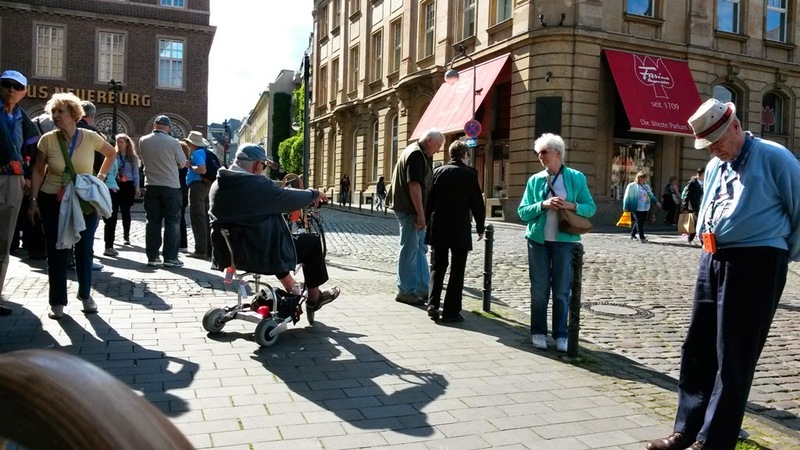 Photos #3 and #4 show the walker positioned on the back of the TravelScoot seat. 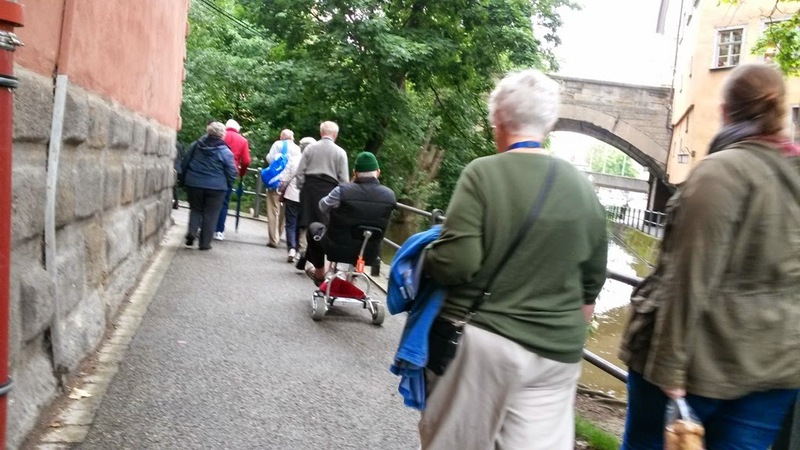 The wheels of the walker rest in the gutter like cups, with the upper crossbars of the walker attached to the upright post of the back support with a bungee cord. Recently I became acquainted with a vibrant, resourceful and intelligent woman who bought a TravelScoot in part so she could return to school to work on her MFA. 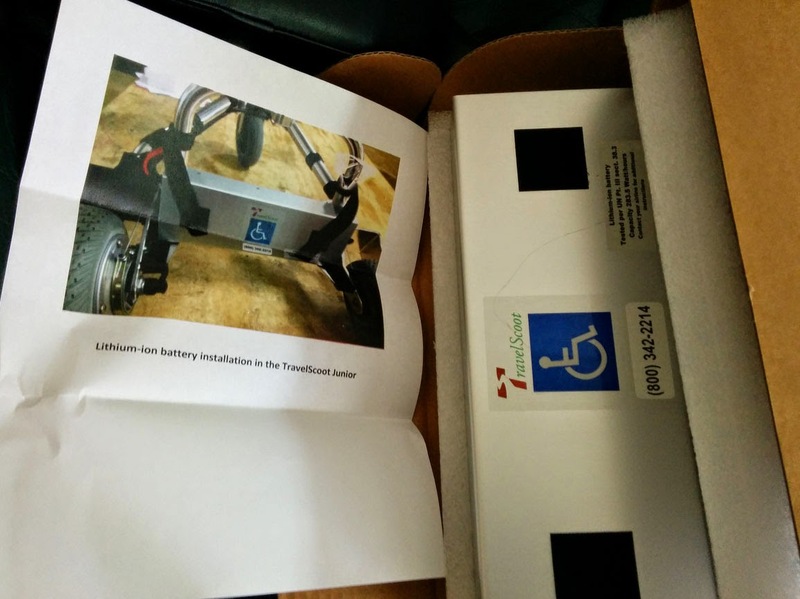 I have a special empathy for students with mobility problems, because that was my biggest hurdle in college. It always seemed ironic to me that my greatest struggle wasn't with the coursework, but with getting from my car to class. A search of GoFundMe.com for "TravelScoot" is how I found Domi, and now we're Facebook friends so I get to keep up with her antics and accomplishments. 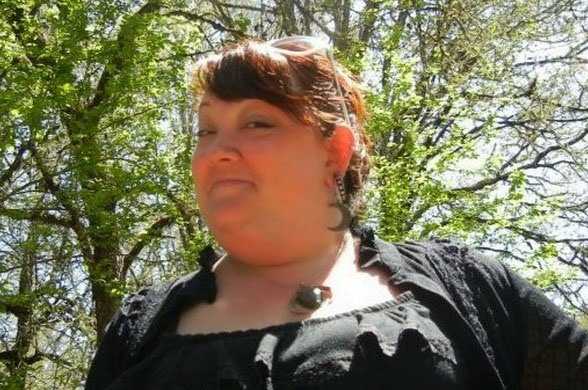 She acquired her TravelScoot by reaching out to friends and family and asking them for help (http://www.gofundme.com/2hlofs). 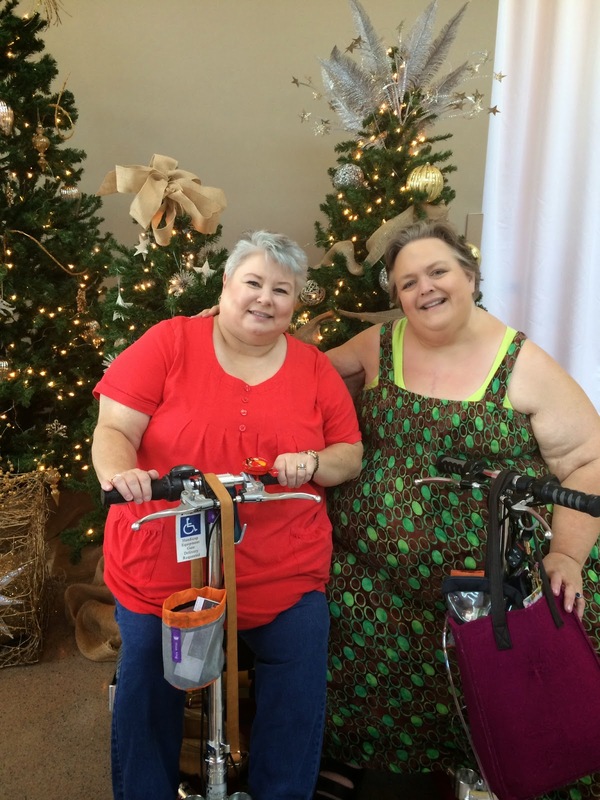 Her campaign was fully funded and she ordered her scoot about 14 months ago. I imagine that in her lifetime she will pay it forward many times over. You might be in a situation where you have a burning desire to live a fuller, more active life, but mobility problems and finances are blocking your path. You know how much having a TravelScoot has changed your life, and you might like an opportunity to pay it forward and help someone who isn't as fortunate as you to have that same freedom. These are the campaigns I see posted right now, with links if you'd like to learn more. 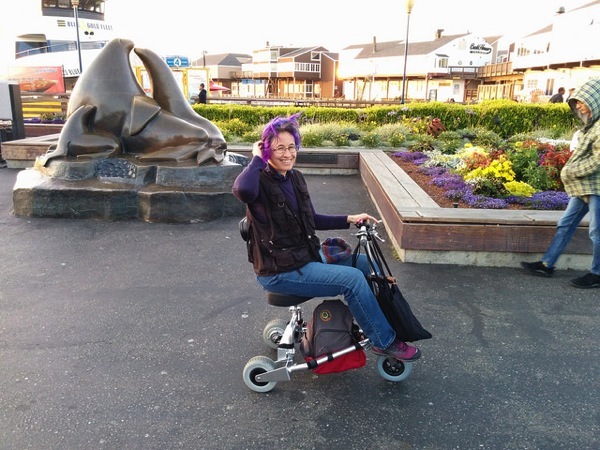 Candice says, "Getting this scooter will help me personally but will also help me keep up with my scholarly and activist work on joyful physical activity for bodies of all sizes and abilities. It's not been easy and I've caught a lot of flack in the bowels of the internet by people assuming that scooter use means less physical activity because of the size and shape of my body. I hope that my position as an academic (and hopeful PhD by 2016!) will help change the popular perceptions regarding exercise, body size, chronic pain, and disability. By helping me be able to be active despite a broken body, you all are helping in that fight!" 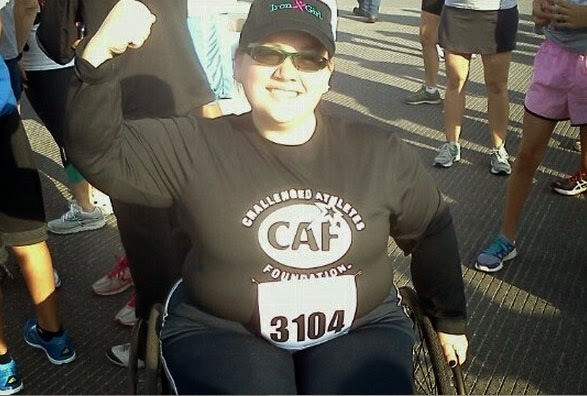 Marie says, "I have a birth defect (spina bifida) that didn't show up until I was 37, when balance and exhaustion from nerve damage began crumbling my world. I shifted my reality from successful pastry chef and baking teacher to full time student, and now, 6 years later, I am a sculptor and writer applying for grad school in London to become an art teacher. I walk with a cane and use to have an electric scooter to get around town but it died. Since then my choices are more limited and I really need to replace it to live my life fully." Cynthia is an artist who loves to travel around showing her art. 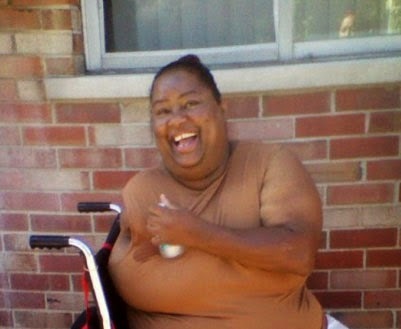 She lost one arm in a fire as a child and wants to be able to easily use a taxi or ride in a friend's car. She dreams of displaying her art throughout Detroit, and one day owning her own art business and helping other disabled artists. The post below is from Sorrell. 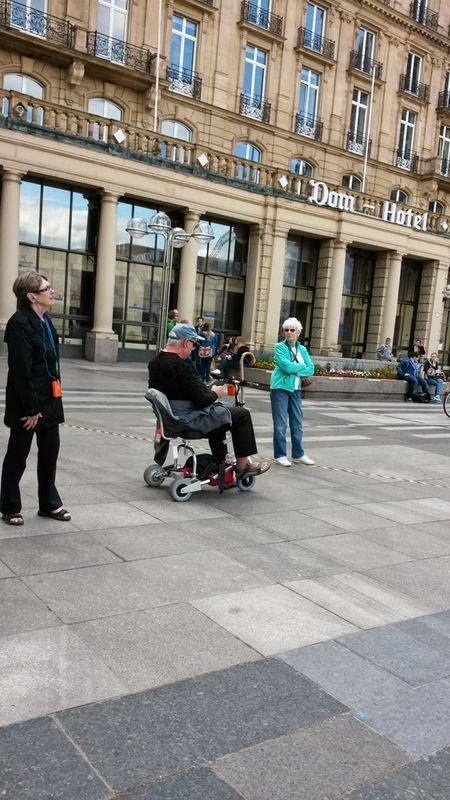 He's his wife's "scooter wrangler" and he's trying to find a way to carry her walker on the TravelScoot. If you have input on this, please post the answer in a comment on the blog, or send an email to elizabeth@ifisher.com. 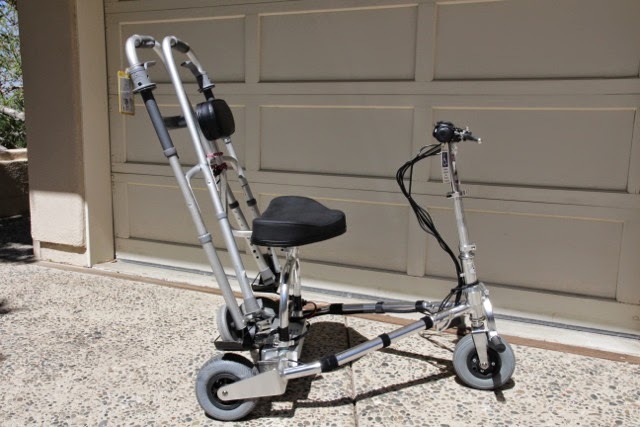 I have enjoyed reviewing many of the entries in your Travelscoot blog, but I was looking to see if any one had created a form of attachment to the Travelscoot for a walker. 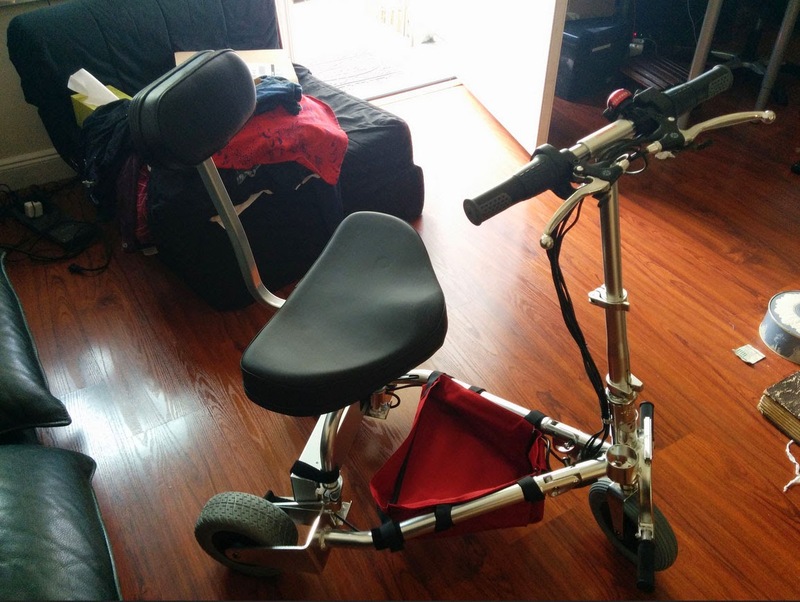 My wife who has had a stroke has problems with balance, but is able and needs to use a walker for short distances. 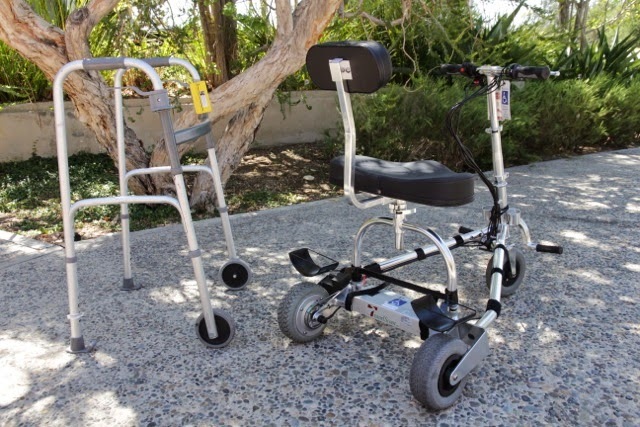 We use the travel scoot for longer distances, such as at a museum or at the zoo, etc. But we like to take the walker along with us so that she can access bathrooms more readily, or to walk for shorter distances wherever we might be. 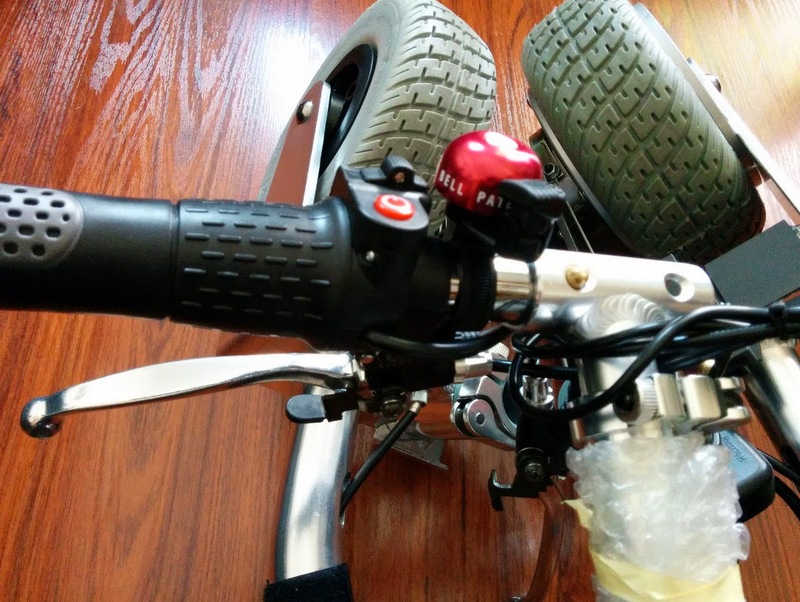 We have created a metal attachment for the yoke under the seat, but it's not great. If there are any ideas out there that someone may have tried, we would like to hear about it, or anyone else's experiences with this problem. Thank you for any help that might be available. I'm heading back home from a wonderful Disney vacation. We spent four days at the park and four days in the Bahamas. The TravelScoot worked great on the ship for me. We had to learn how to get ours in the room. I should have asked for a disabled room, but we made it work. Really enjoyed Florida, Disney World, the Cruise on the Disney Dream and the TravelScoot which gave me the freedom to enjoy it all. 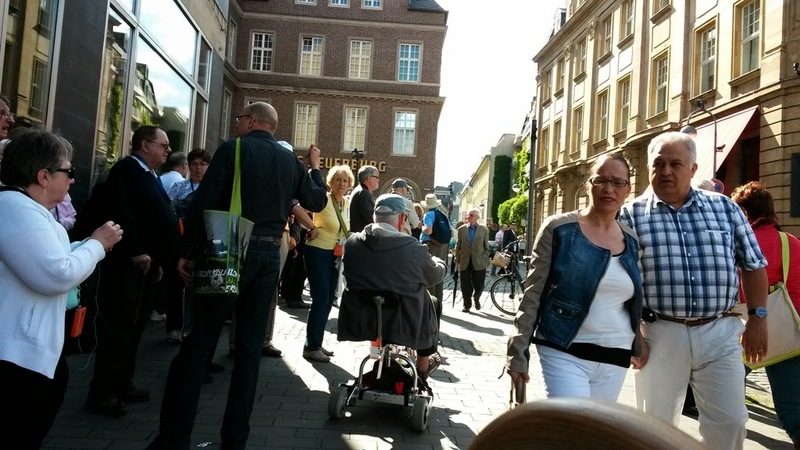 This wonderful post is from Liz Henry, a new TravelScoot Junior user. I am so thankful to read the information from users of the 'Travelscoot'. Also so happy to finally have been able to get one. Have been keeping in touch since 2010 praying somehow I would be able to afford this 'wonderful and versatile vehicle'! Because of the DURABLILTY they are so worth every penny! With each story I read the Travelscoot just keeps getting better and better!! Thank you, Bonnie and Tony! Great job to run this important blog. 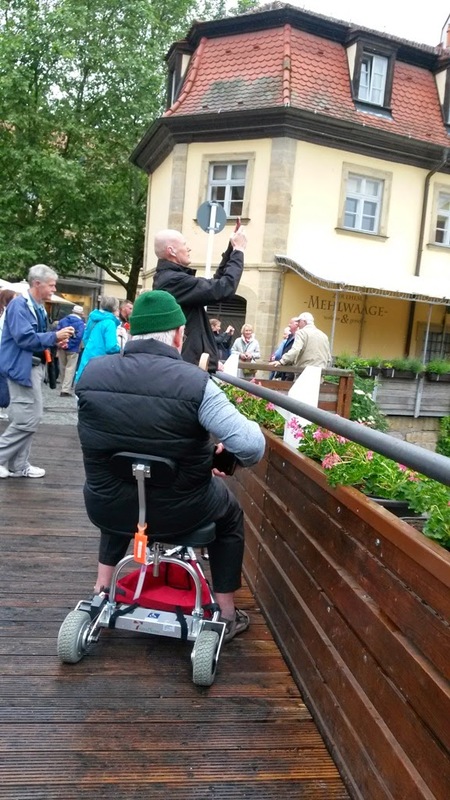 I particularly liked the travel info on a river cruise and no problem with cobblestone areas. I had traveled in Europe fairly extensively before losing my RT leg above the knee in a SF General Hospital error after going by ambulance after crashing in my son's bathroom later discovered as a burst brain aneurysm prior to getting ready to leave for Airport back to Seattle. I didn't know about the scooter until several years later - it's absolutely been wonderful - I went to the local mall and I hadn't been there for 8 years. I recently went around Greenlake in Seattle and I hadn't been there in many, many years. I've been on 3 cruises and with using the TravelScoot, I was able to go and see everything and made every excursion off the boat. I can walk a bit with my prosthesis but the phantom pain would set in and it was a 12 on the pain scale to walk enough to get back to the car. Now, it's like being at Disneyland - so fun, and I still have my energy at the end of the day and no pain!!! 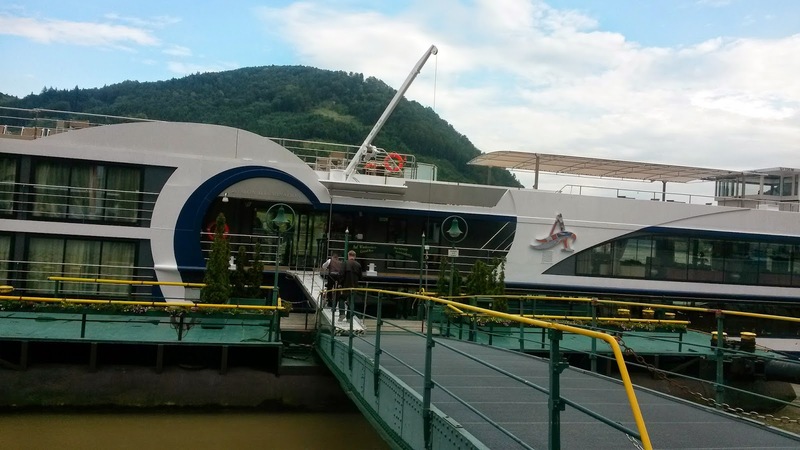 I've wanted for years to go on a European river cruise but when I called travel agents and the river cruise lines -they discouraged me and said the off boat excursions would not accommodate me. I'm going to check on the information after reading about the man that used his Travelscoot on a river cruise and excursions! Thank you Elizabeth for facilitating this informative forum for TravelScoot people. Having a TravelScoot isn't always about exciting vacations. Sometimes it's about being able to do the small things, like riding up and down your block, walking the dog, or my favorite -- going to my gym so I can exercise in the pool. 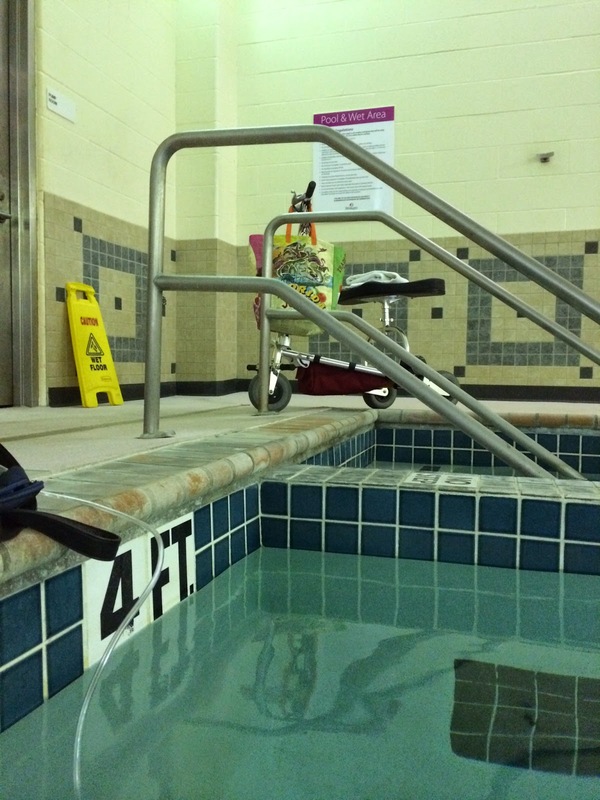 (That's my oxygen tank on the side of the pool.) This picture is from last Sunday, and it was one of those days where just being able to get myself to the gym and get it into the pool was a very big "small" thing. 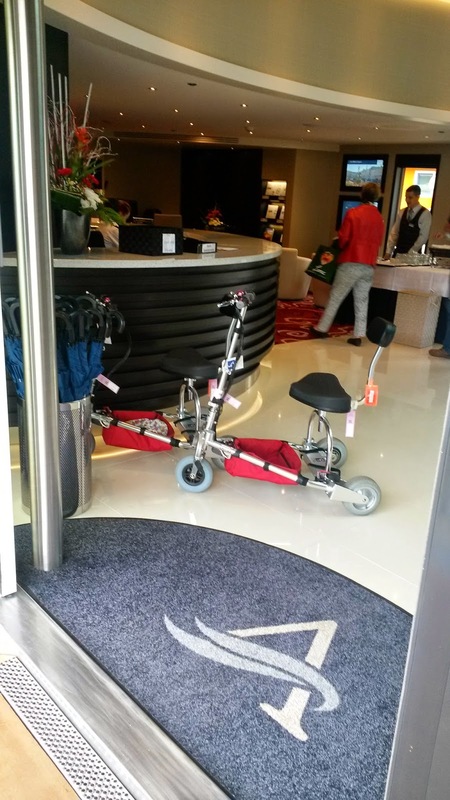 These pictures are of our TravelScoots on the maiden voyage of the New Avalon Illumination. We took a 12 day river cruise from Amsterdam to Vienna. The entire crew and captain loves our TravelScoots. We are so fortunate that we chose the right company -- Avalon. 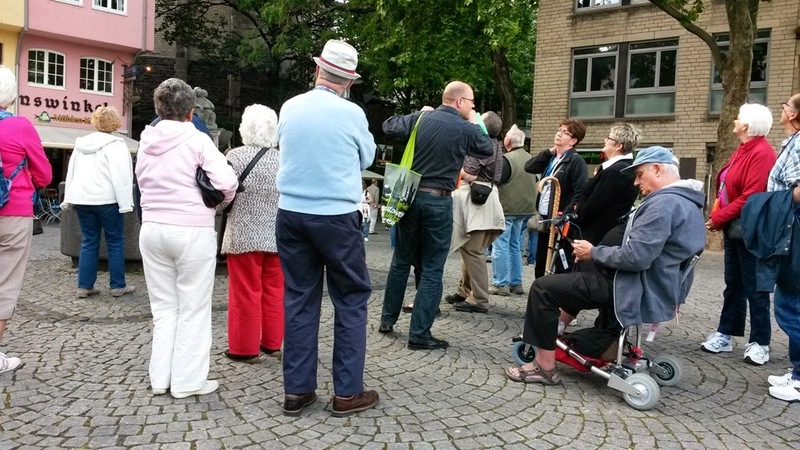 They have a walking tour daily and had arranged for our TravelScoots on their slow gentle walking group. All arrangements were made for our two TravelScoots to ride on the tour buses too!!! A great way to cruise the rivers. I highly recommend Avalon river cruise. 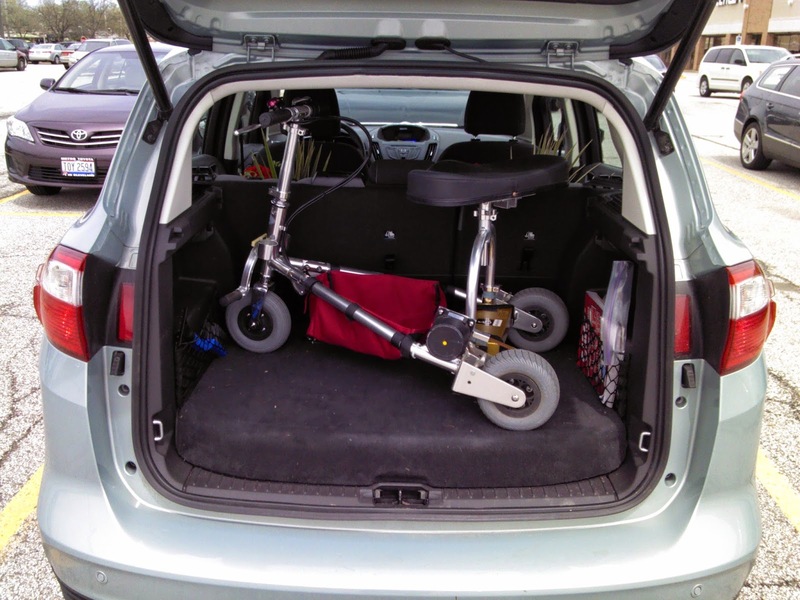 I just wanted to show you how my Scoot fits in the hatchback of my 2013 Ford C-Max hybrid. 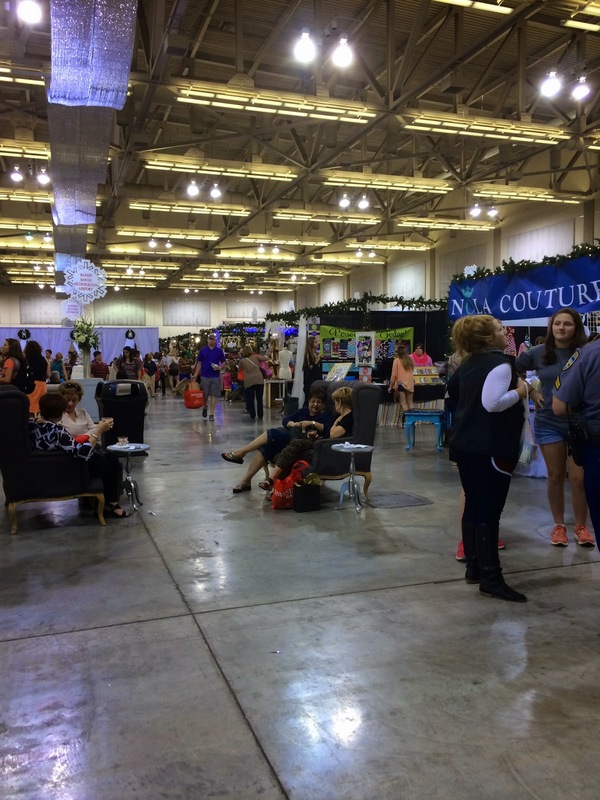 I love your blog and how you are sharing everyone's great experiences. Well, TravelScoot got me to the Polling Station today with no trouble. It's a quarter of a mile up, a hill like the side of a house. I made sure the battery was fully charged but I really didn't think it would make it, but it ground steadily up there. 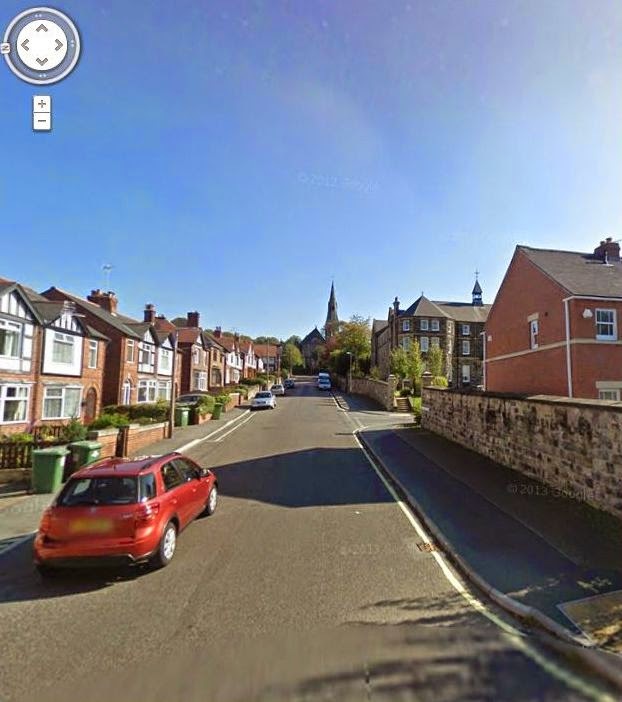 The Polling Station is up behind the church in the picture. This great video was done by new TravelScoot owner Harry Marks. 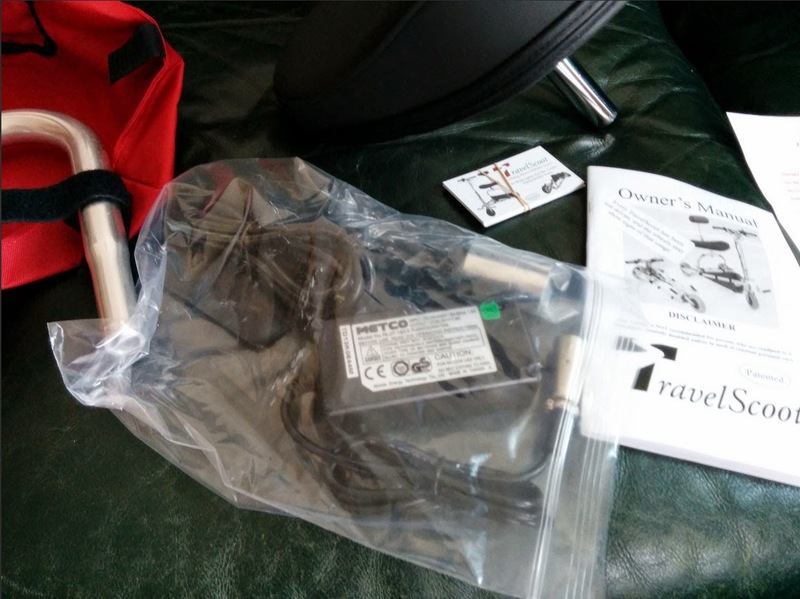 Harry wrote, "The brilliant little but powerful TravelScoot weighs only around 30 lbs, but it posed a bit of a problem loading into my SUV. 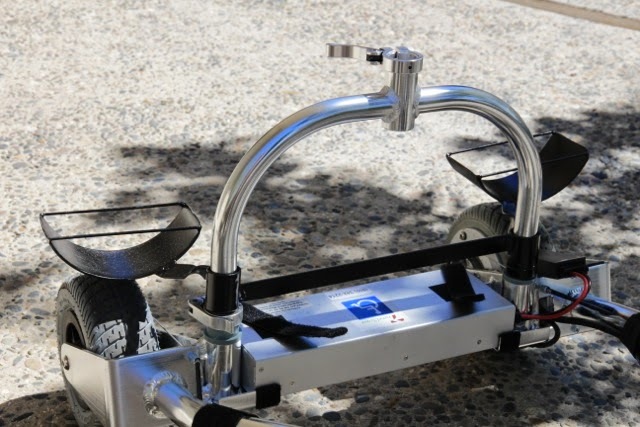 The problem is solved with a pair of very lightweight plastic ramps - available from Amazon.com." The ramps are Solvit 62332 UltraLite Bi-Fold Pet Ramps. They weigh 10 lbs and support 200 lbs. Click here to see them on Amazon.com. From Dean, our world traveler! Dean says to note they had a ramp and everyone was helpful. We took our two new TravelScoots to Europe via American Airlines from Las Vegas to Dallas, then to Ft. Lauderdale. 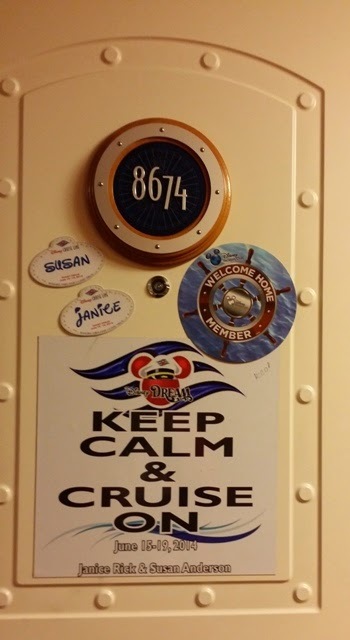 We boarded RCCL Independence of the Sea for our transatlantic cruise. Arrival at Southampton UK. Took the scenic tour to Salbury Stonehedge and Winsor castle, scooting all the way. TravelScoot thru British museum. TravelScoots high speed train London to Amsterdam. Boarded Avalon Illumination maiden voyage, a 13 day river cruise from Amsterdam to Vienna. TravelScoot thru small cobblestone villages along the way. Never a problem with American Airlines, very professional. All the tour buses, hotels, cruises, taxi cabs, all took our TravelScoots. Avalon river cruise carried our scoots up the ramps and even stored them for us. They had them ready in the lobby for us for every walking tour. 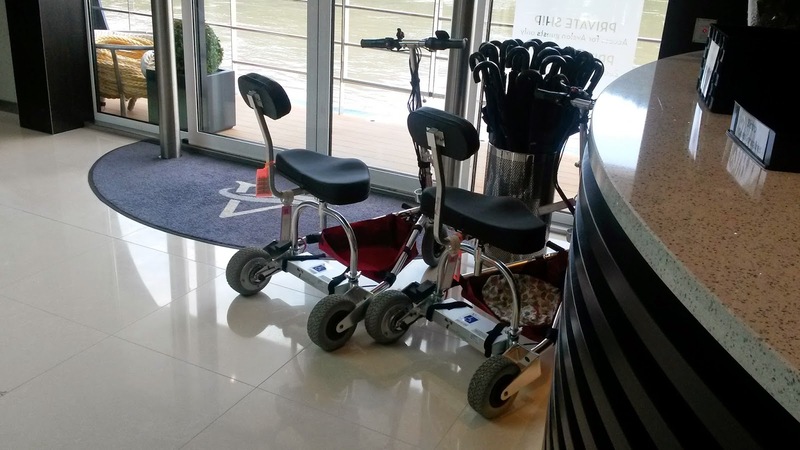 They carried the scoots off and on the river ship. What a great staff!!!!! 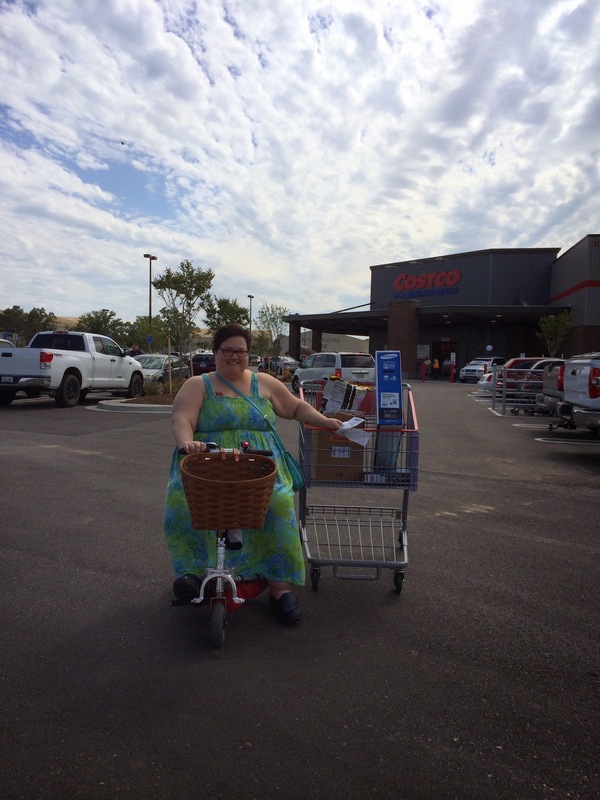 We just got a new Costco in Baton Rouge. Here's Melissa on her first trip there, pulling a buggy out to her van. She has a Peterboro basket on her scoot, but the TV she bought didn't quite fit in it. What I really enjoyed was being able to go up and down every single aisle in Costco. I even went down some twice. I just could never have done that without my scoot.